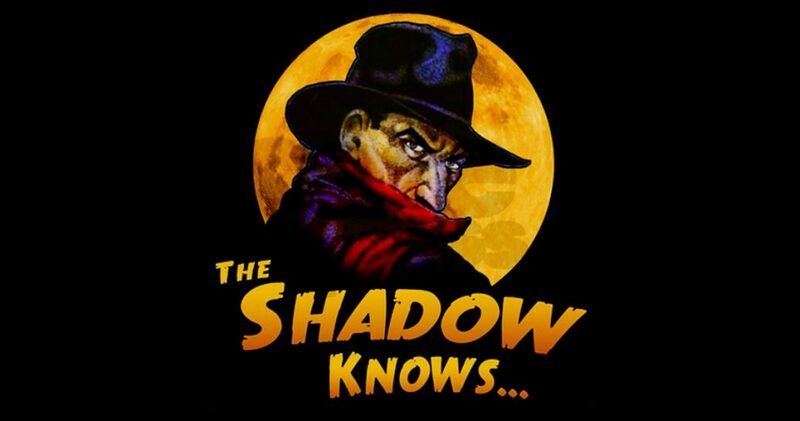 “Who knows what evil lurks in the hearts of men”, if you’re a fan of vintage radio from the 1930’s, you will recognize this idiom and possess the ability to respond to this query from the popular detective broadcast, the answer was, “The Shadow Knows”. Although no longer pursuing his arch enemies, and sadly the image cast by the Shadow has long since faded into the mists of time and history, his courage and tenacity, although gleaned from a script of fiction, can still inspire and prepare for battle those of us today to stand up and confront evil when it rears its ugly head. Let’s begin here. You wake up, it’s a bright sunny morning, but you lie in bed for just a few brief moments staring at the ceiling and hoping that maybe today things will be different in America, perhaps even the world. That people will come to their senses, and not be so filled with bitterness and anger, ready to point the finger of blame at the drop of a hat without all the facts. And that we can treat one another with civility and respect. Not any time soon you say; we are a divided nation and the chasm that separates us only gets wider each day. Perhaps one day we will achieve nirvana, emancipation from hate, ignorance and irreverence, so to speak. But sadly unless people put aside selfish motives and their ideological plans and schemes, and they come to realize what the more important things in life are, like family, friends, faith and respect for life, we will continue to engage in political mischief and deceit, intolerance, personal insults, petty squabbles, innuendo, and all kinds of threats that our troubled and confused minds can think of. Now for what I believe is the very essence of evil in this post modern culture. On January 29, 2018 at approximately 8:00PM, the United States Senate voted on the Pain Capable Unborn Child Protection Act (PCUCPA), which would forbid abortions after 20 weeks, where it has been proven that life in the womb feels pain. With the exception of 2 senators, all 47 democrats voted the bill down, meaning it was not put up for a vote. Following this tragic turn of events, the president asked that the senate reconsider and reschedule another vote. Do all these senators have evil in their hearts, I believe they do. Consider what their actions represent, the magnitude of the callous disregard for the dignity and sanctity of life, how abortion itself is a sadistic act, and how after 20 weeks gestation, the life in the womb feels pain. How in God’s name could any decent, humane, compassionate person accept such brutality? In response, I’m going to take this opportunity to postulate a theory, which I admit may sound delusional and absurd, perhaps even offensive to some. Is it at all conceivable that at some point in life should a person having committed such grievous offense and sin against another, especially abortion, without feeling any remorse or guilt, and whose conscience is no less disturbed, could that person at some point in his or her life have succumbed to the evil that is always lurking, and have lost not only their humanity, but their soul. If you’re a true believer, a person of faith, you might say the soul is everlasting and that God will determine our fate on Judgment Day, perhaps, but what if a sin so grievous has manifested itself over time and all bets are off. I believe abortion is mankind’s greatest, and perhaps unforgivable sin in the eyes of God, and that those who commit this heinous act that destroys His creation, whether it be the practitioner or one who condones the procedure, like these 47 senators, have given up their positive life force and been consumed by the darkness within, and unless they come to realize the danger their complicity poses, they will remain empty shells without substance, hope and soul. There is a passage in Proverb that reads, “We are born crying, live complaining, and die disappointed”. The 60 million innocent lives that have been slaughtered and denied birth since Roe vs. Wade was enacted have never gotten that opportunity to experience life. Let those of who defend the unborn are in the eyes of God found to be worthy of His absolution. Democrats Play the Shutdown Game AgainPerversion and Immorality vs. Trump’s MAGA – Who’s in the Lead?